Fukuroda Falls are located in Daigo, Ibaraki Prefecture Japan. 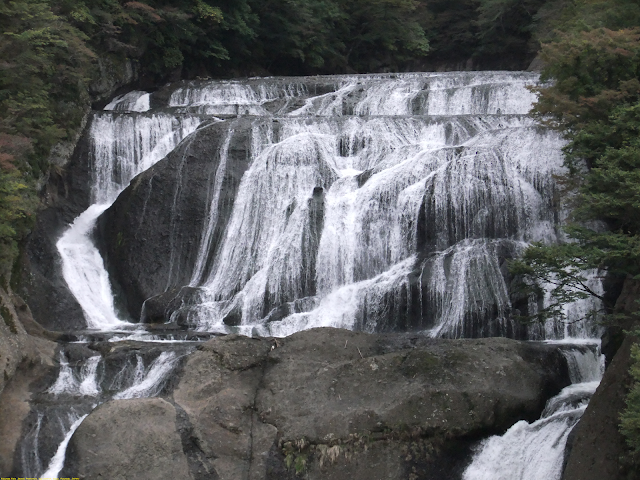 The Taki River has its source spring just above the falls. 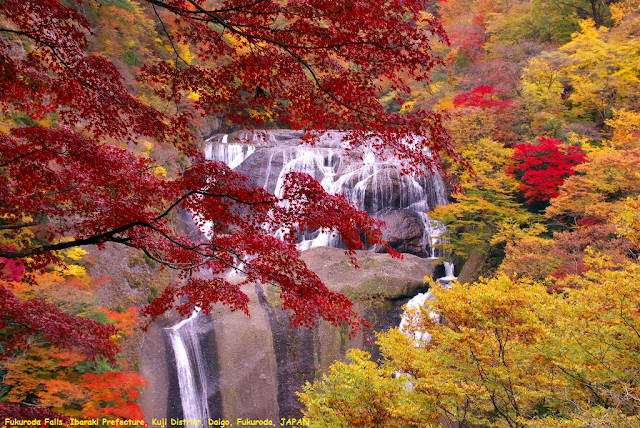 The river flows through the falls and ultimately joins a major Kuji river . As it has been named as one of the three most beautiful waterfalls in Japan there is never a bad time to come take it in; in fact, the locals claim that you have to see it in all four seasons in order to really grasp its beauty. During the summer it is framed with thick, green foliage; in the winter it partially freezes into a delicate glass sculpture; the spring brings new flowers and increased volume from rains; but the added contrast of the red leaves in autumn against the coursing water definitely increases its popularity by quite a margin.